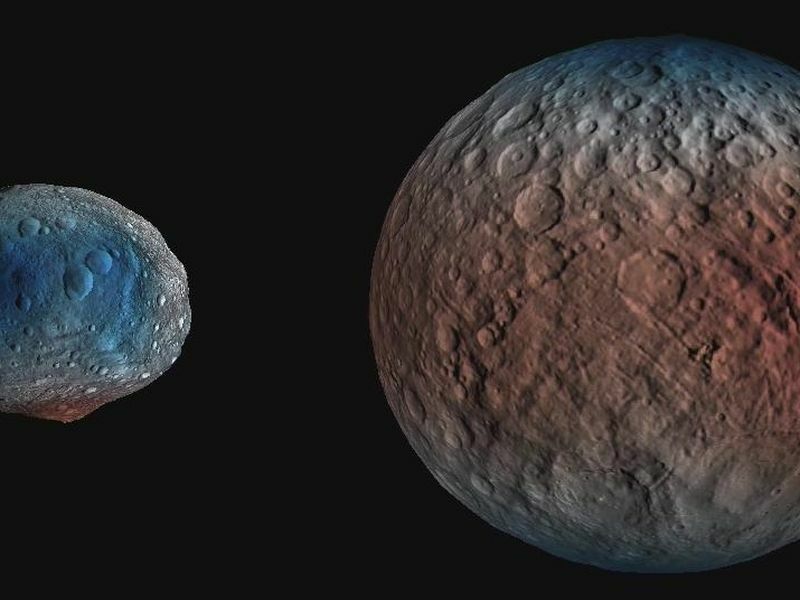 This animation (Figure 1) shows dwarf planet Ceres overlaid with the concentration of hydrogen determined from data acquired by the gamma ray and neutron detector (GRaND) instrument aboard NASA's Dawn spacecraft. 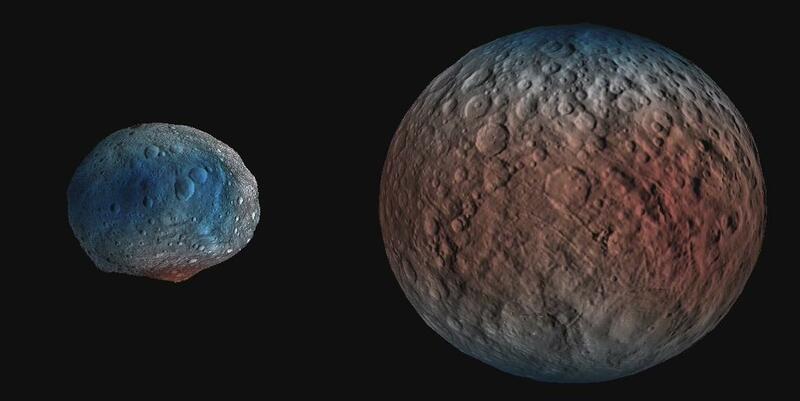 The hydrogen is in the upper yard (or meter) of regolith, the loose surface material on Ceres. 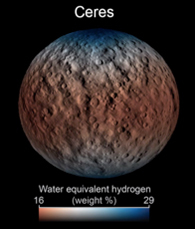 The color scale gives hydrogen content in water-equivalent units, which assumes all of the hydrogen is in the form of H2O. Blue indicates where hydrogen content is higher, near the poles, while red indicates lower content at lower latitudes. In reality, some of the hydrogen is in the form of water ice, while a portion of the hydrogen is in the form of hydrated minerals (such as OH, in serpentine group minerals). 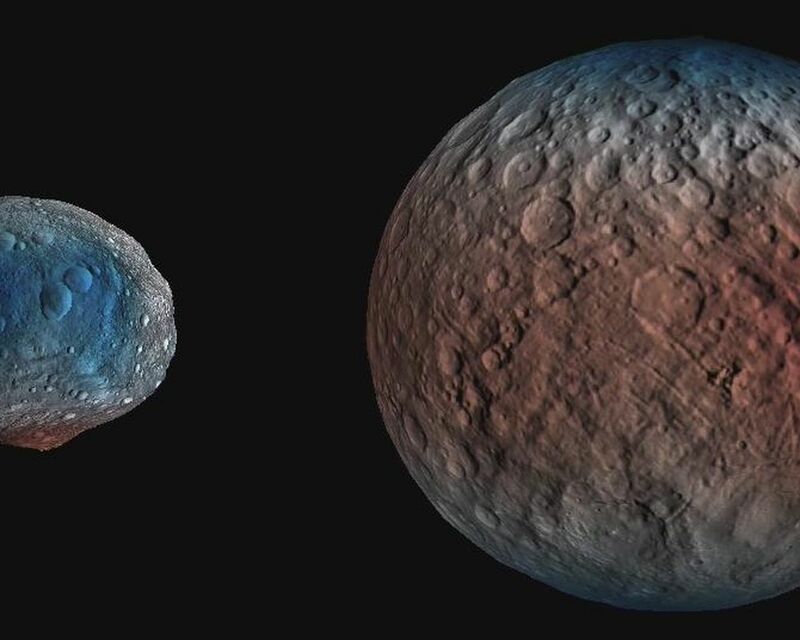 The color information is superimposed on shaded relief map for context. 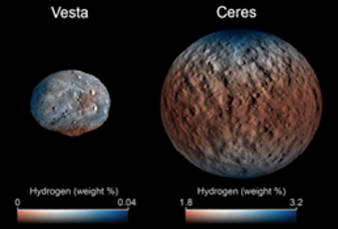 A second animation (Figure 2) compares the hydrogen content of Ceres' regolith with that of the giant asteroid Vesta, which Dawn orbited from 2011 to 2012. 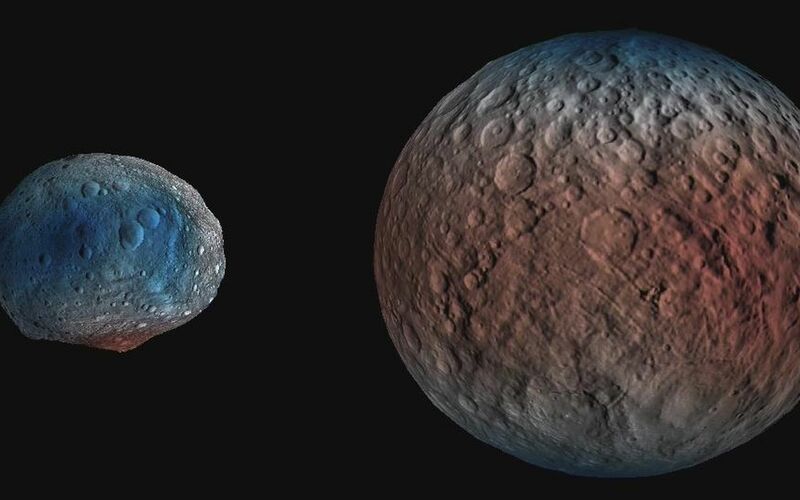 These data show Vesta is a much drier world, with a much lower percent of hydrogen in its regolith. Both maps were produced from data acquired by GRaND.